Ancient Roman history begins in 753 B.C. 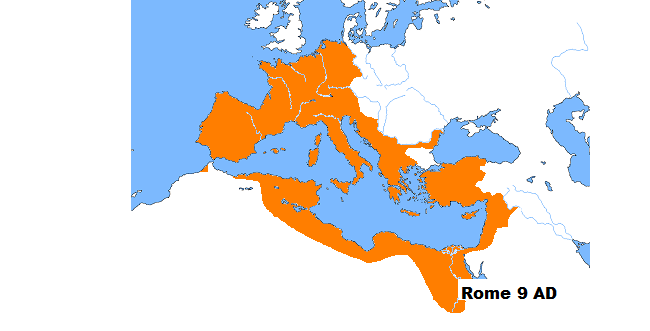 with the Kingdom period when Rome was solely ruled by kings (seven in total) who were elected for life. These kings shaped Roman culture and traditions. The kingdom period ended in 509 B.C. It was followed by the Republic when Rome was ruled by the senate and by magistrates who were elected annually. 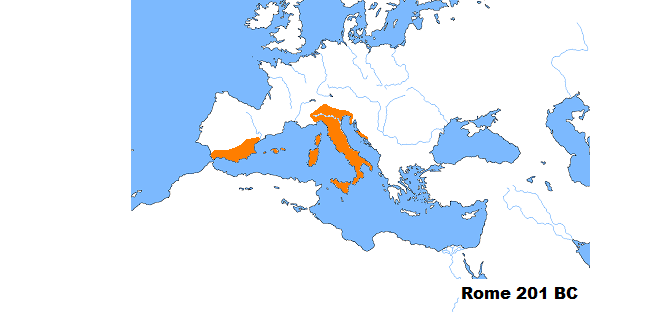 The Roman Republic also had a constitution which separated powers. This period lasted for over 500 years. The Principate (27 B.C. - 284 A.D.) in which the Emperor tried to keep the illusion of democracy and of a republican government. The Dominate (284 - 476 A.D.) which is characterized by a despotic form of goverment. 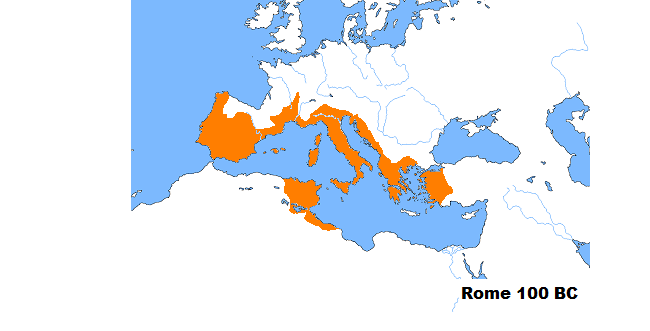 In the Dominate period Europe was divided: the Western Roman Empire ruled the western provinces while the Eastern Roman Empire ruled the eastern provinces. 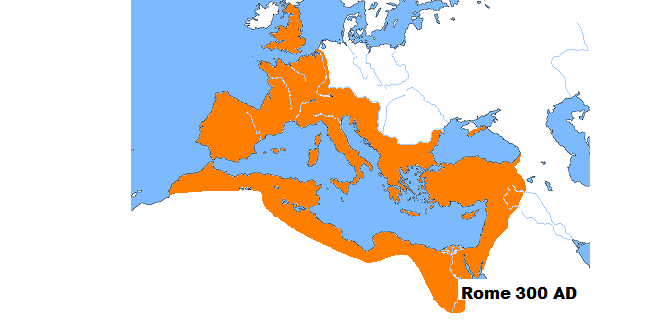 It is worth noting that most of the Romans did not consider that their Empire was split in two. They considered that it was ruled by two different administrations for efficiency reasons. The perception then was that the Roman Empire was too big to be governed by a single emperor. Some historians consider that 476 B.C., date of the death of the Western Emperor Julius Nepos, marks the end of the history of Rome. Before his death, Emperor Nepos had lost administrative control of almost all the western provinces. However, in 476 B.C. the Greek speaking Eastern Empire was still strong and remained relatively strong until 1453 A.D. (date of the Turkish takeover of Constantinople). Therefore, in our view, the Byzantine Empire which kept many of the Roman traditions and customs and which lasted until medieval times is indeed the last period in the history of Rome.